Wushu (武术) is the translation of the term"martial arts" and represents the combat systems that originated and developed in China. Over many centuries, Wushu evolved into hundreds of different styles across the country's unique geographic regions, with each producing a distinct set of self-defense principles and fighting weapons. Wushu also evolved into a way for personal development to cultivate the mind, body and spirit. Today, Wushu refers to various forms of Chinese martial arts that are practiced around the world. Some systems, such as taijiquan, focus on improving health and well-being as their primary goal, while traditional Wushu practices (commonly referred to as kung-fu) focus on maintaining the lineage, culture and self-defense techniques of a particular style. 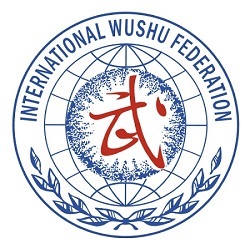 Contemporary or modern Wushu is the most recent development that aims to establish a global competitive sport and is promoted by the International Wushu Federation (IWUF). 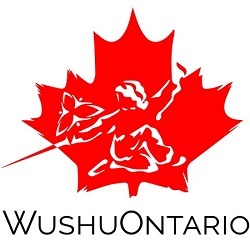 Contemporary Wushu consists of two divisions that host international competitions: Wushu routines (or taolu 套路) and free-fighting competition (or sanda 散打). Taolu (套路) refers to set routines that consist of pre-determined techniques of combat. A taolu routine will include various hand and leg techniques, jumps, sweeps and footwork. Contemporary Wushu developed from traditional Chinese martial arts, and consists of modernized taolu routines used in athletic competition. Depending on the event, athletes perform routines barehanded or with weapons. Routines are scored by a panel of judges who evaluate different aspects of a performance, focusing on the quality of movements, overall performance and degree of difficulty. Taolu routines include (1) optional routines unique to the individual athlete, (2) compulsory routines that are globally standardized, (3) duel/sparring routines and (4) group routines.